Talking about holiday spending, most people try save their financial resources for December. But it’s not worth forgetting about Halloween, which can be quite expensive if you don’t do the necessary preparations ahead! Buying candies, decorations and accessories can harm your budget, so it’s highly important to know how to save money otherwise the holiday can turn into a financial disaster. The thing is that many consumers don’t budget for Halloween as they do for Christmas. They don’t plan Halloween expenses, make shopping last minute and such financial behavior always leads to overspending. Personal Money Service suggests affordable ways to decorate, eat, dress and party. 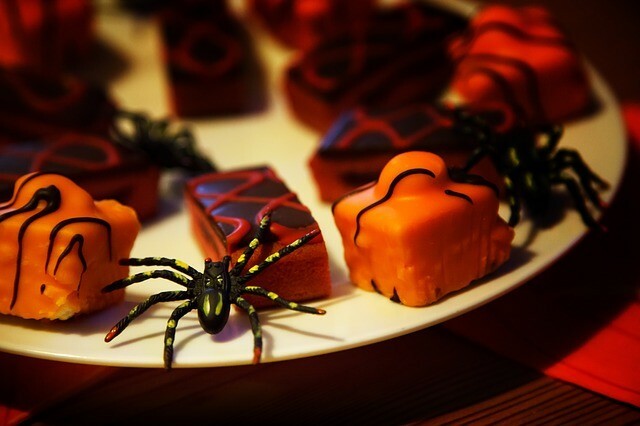 Follow our tips and Halloween definitely will not become a budget-busting night! It’s hard to imagine Halloween party without a scary house, isn’t it? If you do everything last minute you may need emergency personal loans to cover costs. Consider these cost-friendly ways to get your house ready for Halloween and make the necessary preparations on time! Make glowing eyes. Most likely, you have a few empty toilet paper rolls at home. Cut two slits lengthwise into each tube and use a colored glow stick. You can put the eyes in your garden or front yard to surprise unsuspecting trick-or-treaters! Monsterify your front door. Use colorful strips to turn your front door into a scary monster! Ask your kids to help you and cut out eyes, hair, a nose and a mouth. This monster will not only impress trick-or-treaters but also is easy to clean up. Save on pumpkins. Buy cheap pumpkins at the grocery store or check pumpkin farms nearby. 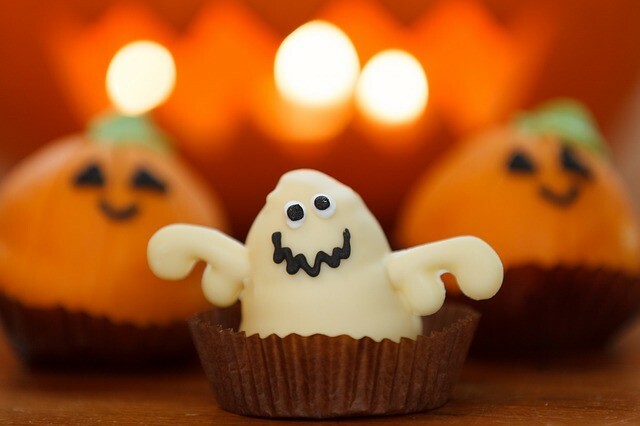 Halloween is impossible without a pumpkin and it can be both food and décor! It’s not a secret that living in major US cities is expensive, so the last thing many consumers think of is how to buy Halloween costumes. Some people can afford buying new ones every year but is it smart to do so? 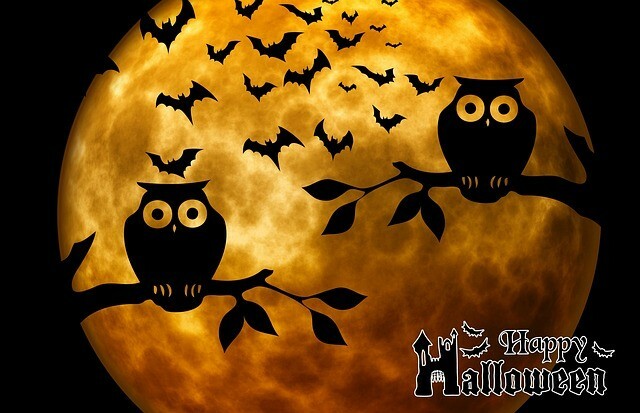 Halloween must be cheap so check these ways to save up! Use what you already have. It’s not necessary to buy something new to look great! Check what you already have and surf the Internet to find ideas how to fresh-up your look. Remember that you can change it a lot just with a help of accessories and make up! Borrow a costume. Buying new costumes for your kids is painful because you know that they’ll wear it only once or twice. You’re not the only parent in the world and for sure you have friends having the same problem! For sure, some of your friends would be happy to swap costumes. Here’s a small tip: if you borrow a costume, watch your child to keep it in good condition. Buy “dress up”, not a “costume”. Leave a costume section in the store and go to the toy section. There you can find “dress-up” consumes which are actually not intended for Halloween but they look great and cost less! Make a donut-eating contest. One of the easiest and cheapest ways to entertain kids is make a donut-eating contest. Go to a local grocery store, buy a dozen of donuts and attach each to a long dowel with a piece of string. Kids should try to eat the hanging donuts without hands while two adults hold the dowel horizontally. It’s a great way to have some fun and pass the time until trick-or-treating. Plus, find out about more brilliant Halloween donuts recipe here. Turn lollipops into ghosts. If you have to bring treats to school, you must try this trick. Buy inexpensive lollipops and facial tissues. Just place tissues over the candies, tie them with a ribbon and draw ghost faces with a marker! Don’t forget that candy is the main attraction on Halloween both for kids and adults. Personal Money Service wishes you happy and frugal Halloween!